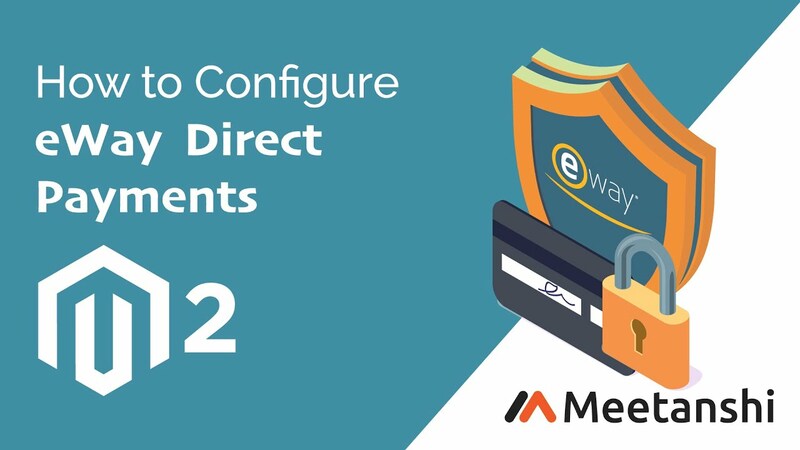 Magento 2 eWay Payments by Meetanshi integrates Australia's popular eWay Payment gateway with Magento 2 to accept online secured payments through credit cards for customers' purchase. Direct Connection or Responsive Shared Page method for transactions. Supports Visa, Master Card, JCB, Diners credit cards. eWay is a secure payment gateway which serves as the largest online payment provider in Australia. It is widely used for capturing secured online payments. The service is also available in New Zealand, UK, Singapore, Hong Kong and Malaysia. Meetanshi has developed Magento 2 eWay Payments extension to integrate the eWay payment gateway with Magento 2 which helps to accept secure online payments for the customers' purchases. The Magento 2 eWay Payments extension allows accepting online credit card payments easily in Magento 2 store. Integrate the extension and accept the one off payments. Moreover, allow customers to save their credit card details in eWay and speed up the checkout process while placing the next order in future! To integrate the payment gateway in your Magento 2 store, create an account in eWay and get the registration API key and password. These details are to be entered in the backend while configuring the extension. The module offers enterprise anti-fraud protection that helps reduce chargebacks and benefit the Magento 2 store! Admin can enable or disable the eWay Payment extension from the backend. Admin can enable Direct Connection or Responsive Shared Page method for transaction process. The direct connection method allows a simple single side server call. In transactions, as credit card data is passed through the server, it either must be PCI compliant or use Client Side Encryption. It allows for purchases to be submitted directly to eWAY from the store's server. Visa Checkout and AMEX Express Checkout are supported by Direct Connection method. The Responsive Shared Page method includes payment forms hosted on eWAY's PCI DSS compliant. The process removes the payment process entirely from the Magento environment. It supports 3D Secure, PayPal, MasterPass, Visa Checkout and AMEX Express Checkout. Moreover, the method supports adding a surcharge to credit card payments. Customize the label of payment method to be displayed on frontend. The module supports the authorize and authorize and capture payment actions. Useful admin features in the payment gateway!